We call on the Australian government to allow Behrouz Boochani into our country, where he can continue to work safely as a journalist and writer. We also urge that he be offered a pathway to permanent residency. We will all be enriched by this. MEAA is co-ordinating a new campaign calling for the Morrison Government to resettle in Australia the acclaimed journalist, writer and film-maker Behrouz Boochani, who has been detained for more than half-a-decade at the Manus Island Regional Processing Centre, operated on behalf of the Australian government. We regard Boochani, who fearing persecution and harassment fled Iran and sought asylum in Australia, as a professional colleague who can make a meaningful contribution if resettled in Australia. Boochani is among about 580 other refugees, migrants and asylum-seekers still held on Manus Island as victims of the Australian Government’s cruel policy of deterrence and indefinite offshore detention for those who seek refuge in Australia by sea. He sought refuge from Iran so he could freely express himself without fear of persecution or harm, but instead his freedom has been further suppressed in detention. WE, the undersigned, write this this letter as Australian journalists, writers, editors, publishers, academics, and lovers of literature, to call for our colleague and fellow award-winning journalist and author, Behrouz Boochani to be allowed to enter Australia. Boochani, 36, is a Kurdish writer, journalist, and film-maker. He fled Iran in early 2013 following a campaign of persecution and harassment, and attempted to seek asylum in Australia. He has been imprisoned on Manus Island since August 2013. In the six years that the Australian authorities have detained him, Boochani has courageously continued to work, writing for publications in Australia and overseas, tirelessly reporting on the conditions on Manus Island, while also helping Australian-based journalists cover the situation there. In December 2017, the International Federation of Journalists recognised Boochani’s work as a legitimate journalist and granted him an IFJ press card. As Australian journalists, we are acutely aware that his continued detention undermines Australia’s credibility as a leader for press freedom across the region. Boochani is undeniably talented. In 2017, he co-directed a film that he shot on mobile phone, titled Chauka, Please Tell Us The Time, which was selected for screening at numerous film festivals. His book, No Friend but the Mountains: Writing from Manus Prison (Picador) published in late July 2018, is an extraordinary account of his experience of the Manus island offshore detention system. It has been highly acclaimed by critics and in January, it won two of Australia’s most prestigious prizes at the Victorian Premier’s Literary Awards. We are deeply concerned for Behrouz Boochani’s welfare and safety. The success of his book and his status as a journalist have made him a target of the Manus authorities; a danger that has only increased with his rising profile. As Australian journalists, writers, academics and readers, we extend a welcome to Behrouz Boochani. We regard him as a valuable member of the contemporary Australian literary community. He had the courage to stand up for the rights of his people in Iran, and in the past six years, he has borne witness to the trials of his fellow-detainees, and advocated for their freedom on Manus Island. We join with him in advocating for justice for all those detained on Manus. 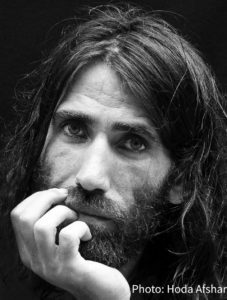 Behrouz Boochani is a Kurdish-Iranian journalist, writer and film maker who has been detained at the Manus Island Regional Processing Centre since August 2013. Boochani was born in Ilam city in west Iran in 1983. He graduated from Tarbiat Madares University in Tehran with a masters’ degree in political geography and geopolitics. He worked as a freelance journalist and for several Iranian newspapers –Kasbokar Weekly, Qanoon, Etemaad – and the Iranian Sports Agency. He published articles on Middle East politics and interviews with the Kurdish elite in Tehran, and with several colleagues, he founded, edited, published and wrote for the Kurdish magazine Werya, documenting Kurdish aspirations for cultural freedom. On February 17, 2013, officials from the Islamic Revolutionary Guards Corps ransacked the Werya offices in Ilam and arrested 11 of Boochani’s colleagues. Six were imprisoned. Boochani was in Tehran that day and avoided arrest. On hearing of the arrests he published the information on the website Iranian Reporters, and the report was widely circulated. Boochani feared for his safety and went into hiding. Boochani fled Iran on May 23, 2013. In July of that year he was among 75 asylum seekers intercepted by the Australian Navy en route to Australia. After initially being detained on Christmas Island, he was later transferred to the Manus Island Regional Processing Centre in August 2013, where has remained since. He has subsequently been interviewed by the UNHCR and found to be a genuine refugee. Boochani has continued working as a journalist from Manus Island, filing articles and videos for Guardian Australia, The Saturday Paper, New Matilda, The New York Times and other Australian and international publications, while also assisting Australian-based journalists reporting about the situation there. He contributes to a range of Kurdish-language publications, and has collaborated on books and films about life inside the detention centre. Boochani’s journalism has provided invaluable insight into the humanitarian crisis on Manus Island that has resulted from the Australian government’s zero tolerance policy towards asylum seekers arriving by boat. Boochani’s case has been adopted as a ‘Main Case’ by the London-based freedom of expression organisation PEN International, and he was shortlisted in the journalism category for the 2017 Index on Censorship’s Freedom of Expression Awards. In early 2017, MEAA co-ordinated an international open letter to then-Prime Minister Malcolm Turnbull calling for Boochani to be resettled in Australia, which was signed by dozens of journalists, writers, actors, artists and international organisations. In 2017, he co-directed a film mostly shot on mobile phone, titled Chauka, Please Tell Us The Time, which was selected for screening at the London International Film Festival in October. In December 2017, he was granted an International Federation of Journalists international press card in recognition of his work as a journalist on Manus Island. This card is recognised in 130 countries and provides instant confirmation that the bearer is a working journalist. It is only issued to genuine journalists who are committed to ethical standards and solidarity between media professionals. His 2018 book, No Friend But The Mountains: Writing From Manus Prison (Picador) has been critically acclaimed and shortlisted for several awards, and won the prizes for literature and non-fiction at the Victorian Premier’s Literary Awards in January 2019. The book was written on Manus via hundreds of WhatsApp messages to his translator, Omid Tofighian. Watch the Australian Story documentary about Behrouz Boochani, which screened on the ABC on April 1. The core group involved with the #FreeBehrouz campaign is made up of people from within literary and journalistic communities in Australia. This campaign aims to leverage our collective weight around this emblematic case as it has gained traction within these communities. In addition to seeking the resettlement of Behrouz Boochani to a safe destination, our purpose is to engage and mobilise others within literary and journalistic communities and grow exposure of Behrouz Boochani’s book, No Friend But The Mountains: Writing From Manus Prison, as well as his other powerful commentary on Australia’s detention industry. In so doing we aim to bring more attention to all subject to Australia’s immigration detention regime.